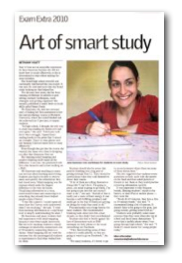 The Education Editor from the West Australian newspaper contacted me recently asking for some exam tips and strategies for students. 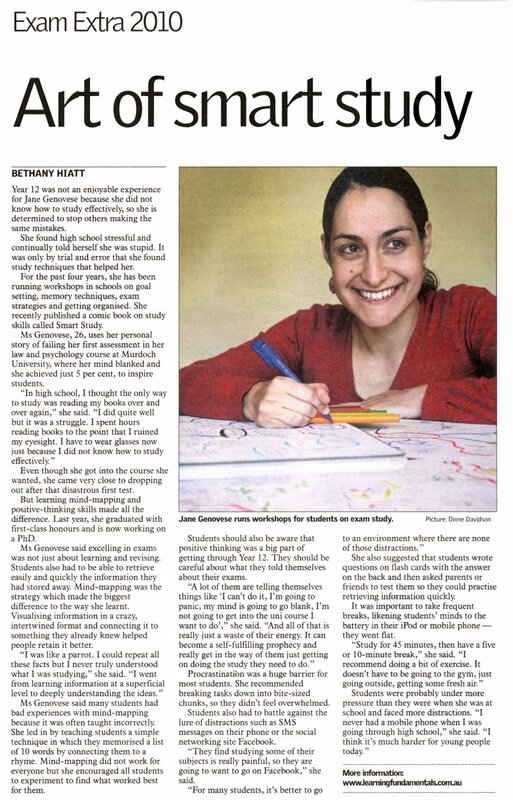 She ended up writing a story on the struggles I’ve had with my studies over the years and the work I now do in schools (click on article image to enlarge or click here to download). Unfortunately due to limited space, my list of exam strategies never made it into the “Exam Extra 2010” liftout. 1. Do not cram. It simply doesn’t work because you cannot learn large volumes of information in one night (or a short space of time). Start preparing for your exams early by tackling a little bit each day. 2. Mind map as you read. 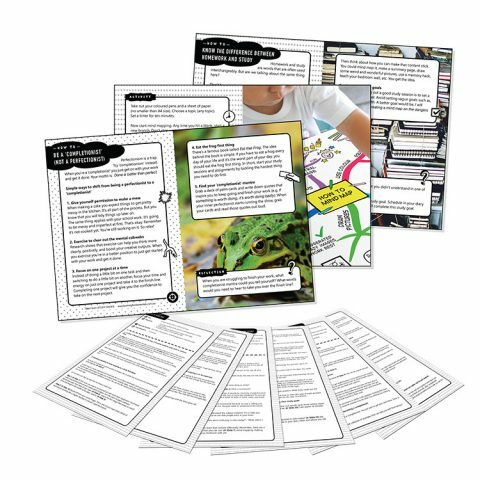 This is a creative and active way to learn information at a deeper level. Make sure you draw exaggerated pictures, use different coloured pens and curve your branches to keep it interesting. 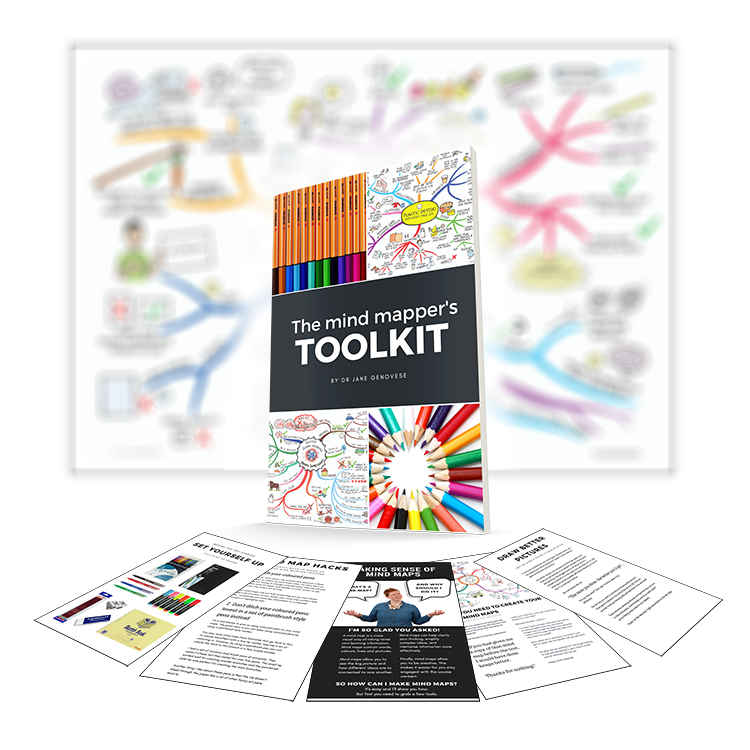 For more information on mind mapping click here. 3. Incorporate exercise into your study plan. Doing 30 minutes to 1 hour of exercise every day will help to lower your stress levels and help you study more effectively. 4. Eat a healthy breakfast. A healthy, low GI breakfast will fuel your mind and give you the energy you need for a two or three hour exam. If you don’t eat breakfast, than you can expect to experience a 20% – 40% reduction in thinking skills (e.g. concentration, alertness and memory). 5. Avoid energy drinks. These will give you a quick burst of energy but shortly after, you will crash and burn and feel worse than you did before. Drink plenty of water instead. 7. Give yourself breaks. Your brain can only absorb so much information at a time. 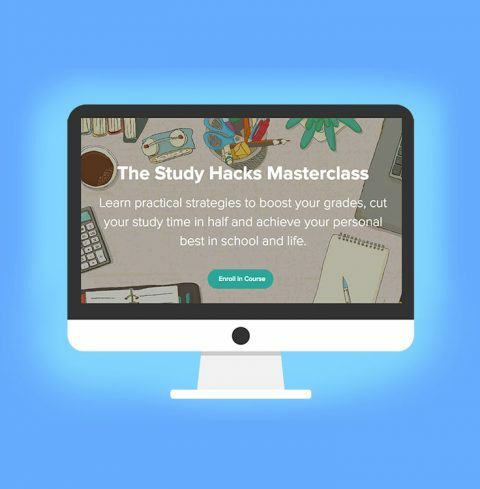 Study for 45 minutes (no more than 1 hour) and then take a 5 or 10 minute break. Get away from your desk and move your body. 8. Avoid negative people with a “meh” attitude. Surrounding yourself with people who say they are going to fail and brag about the fact that they have hardly studied will not serve you. Keep away from them, especially on the morning of an exam, to ensure you stay in a positive frame of mind. 9. Don’t waste energy ruminating. Dwelling on what you could or should have studied more thoroughly come the morning of an exam is a complete waste of your time and energy. Focus on the fact that you now know so much more than you did before and a large number of the exam questions you’ll be able to answer. 10. Sleep is important for full brain function. Get at least 8.5 to 9.5 hours each night. 11. Visualise exam success. Leading up to your exams, imagine yourself walking into the exam room feeling confident and relaxed and taking the exam. The act of mentally rehearsing doing an exam will help to decrease your nerves when it comes time to actually take the exam. 12. Don’t wait to feel motivated. You may think you”ll feel more like studying tomorrow but this is rarely the case. Taking small actions often leads to feeling motivated which in turn leads to taking more actions. Dear Jane – I recently passed my Bar exams and scored a distinction in one of the subjects due solely to the mind-mapping study technique you have described. This is after I actually FAILED the exams the year before! How’s is that for a grand comeback? I have known about mindmaps for some time now, but never really applied them in any consistent fashion. Your story about turning things around in your exams after using mindmaps gave me the inspiration I needed. A point you made in your posts (and which I think is the key) is understanding the concepts and mapping them as they sink in and as you go along. Maps force you think conceptually in this regard, because all the points in the brances have to relate back to the parent in a coherant and sensible fashion. I used electronic maps (Freemind) for my studies. I might add that I achieved this result while holding a full time training position in a law firm. Thank you Jane for the helpful tips, they have been invaluable in my studies. Mindmaps will be a permanent part of my life from now on. Wow, thank you so much for sharing that great news with me! How did you find the Freemind software? You didn’t feel restricted at all by it? 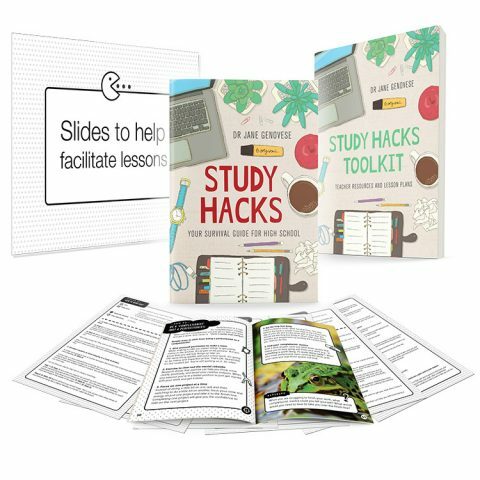 Hi Jane – for me, the advantages gained in easy editing, reconfiguration and moving branches around outweighed any disadvantages I may have encountered, for example from the more visually appealing layout of hand drawn map. Printing the more complex maps was little challenging, but Freemind allows printing across multiple pages, so I just churned them out and glued the pages together! I’m sending some company law maps to you in PDF format – that’s the subject I aced.